Advance your nursing skills with an ACEN-accredited online degree from Campbellsville University. Campbellsville’s nursing programs provide you the opportunity to think critically through experience and knowledge in a faith-based environment. You can achieve a well-rounded education through a variety of topics that will help you take your nursing career to the next level or pursue non-hospital positions in the area. The field of nursing is constantly growing. In fact, the Bureau of Labor Statistics predicts that employment for the profession will increase by 15 percent through 2026. Nurses are able to work in a variety of settings, ranging from schools to hospitals. The flexible online format of the programs allows you to study during your own time and maintain your busy schedule as you learn from faculty members who are experienced in the field. Campbellsville University offers an RN to BSN online program that allows current registered nurses to pursue an advanced nursing career. Additionally, the degree program is obtainable for less than $14,000 and can be completed within two years, depending on the amount of credit hours transferred. The program examines modern nursing complexities, such as advancing medical technologies and the current trends in healthcare. You will learn managerial skills so you can move beyond entry-level positions and climb the ladder in your workplace, as well as modern nursing procedures and patient care. It also covers topics like gerontology nursing, maternal-child nursing, pharmacology, medical microbiology and social statistics. 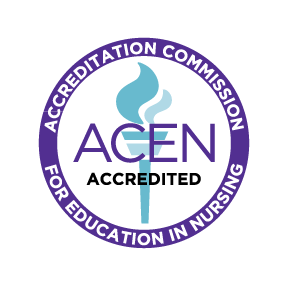 Our online nursing programs are accredited by the Accreditation Commission for Education in Nursing (ACEN). Campbellsville University is accredited by the Southern Association of Colleges and Schools Commission on Colleges (SACSCOC). Earn the credentials you need to move beyond entry-level nursing positions with our ACEN-accredited RN-BSN online program. Learn how to improve healthcare and be a leader in the field with our online MSN FNP program. Graduates of Campbellsville University’s online nursing program can advance their career and enter a different area of nursing or even enter a leadership role in the field. Campbellsville’s nursing programs are accredited by the Accreditation Commission for Education in Nursing.